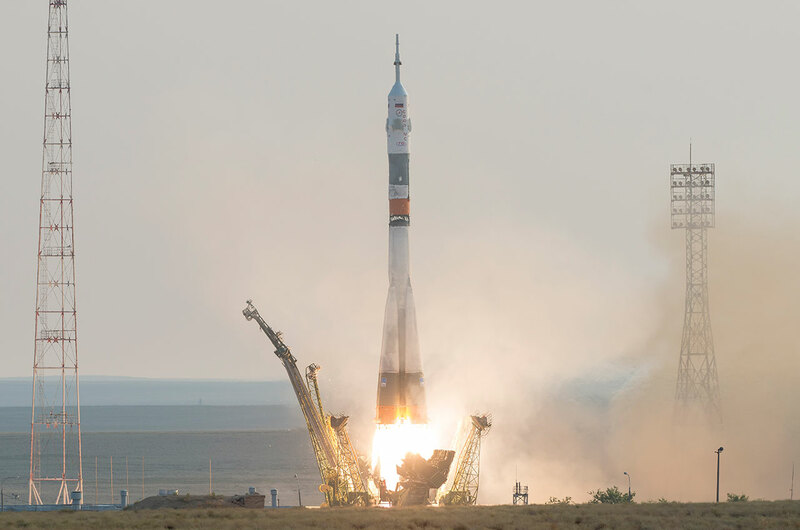 — An upgraded Russian spacecraft lifted off on its maiden mission on Wednesday (July 6), launching a veteran Russian cosmonaut, a Japanese astronaut and an American microbiologist on a two-day journey to the space station. 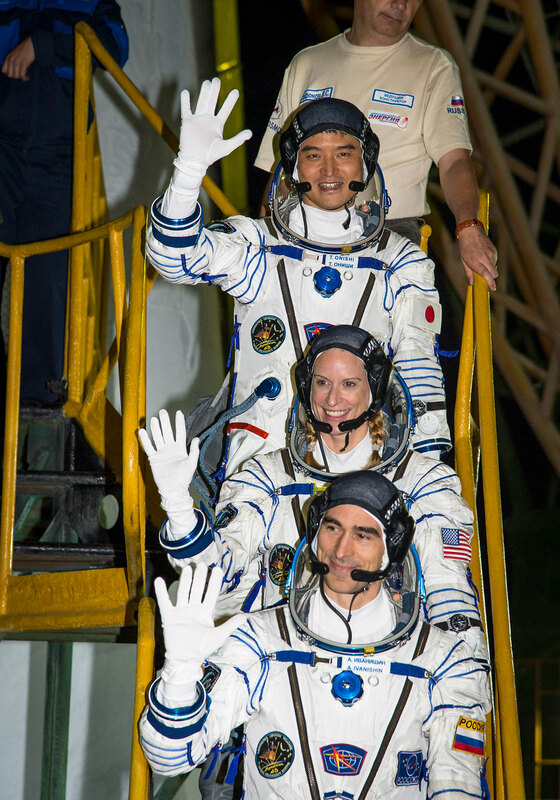 Anatoly Ivanishin of Roscosmos, Takuya Onishi with JAXA (Japan Aerospace Exploration Agency) and NASA's Kate Rubins took flight on Russia's Soyuz MS-01 spacecraft at 9:36 p.m. EDT (0136 GMT), or 7:36 a.m. Thursday (July 7) at the Baikonur Cosmodrome launch site in Kazakhstan. The three crewmates are scheduled to arrive at the space station just after midnight (EDT) on Saturday morning (July 9), after testing their spacecraft's modified systems during a 34-orbit rendezvous with the outpost. Ivanishin, Onishi and Rubins will be welcomed aboard the International Space Station by Expedition 48 commander Jeff Williams with NASA and Roscosmos flight engineers Oleg Skripochka and Alexey Ovchinin, who have been on the orbiting laboratory since March. 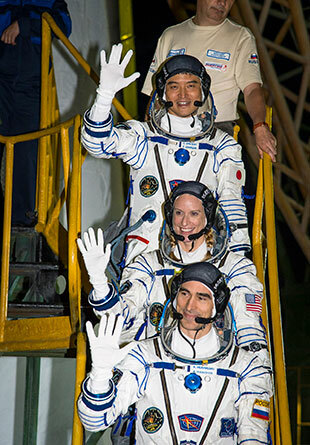 Ivanishin, Onishi and Rubins are scheduled to spend four months on orbit, returning home to Earth Oct. 30. Williams, Skripochka and Ovchinin will land aboard Soyuz TMA-20M in September, at which point Ivanishin will be handed over command of Expedition 49. Soyuz MS-02, the second of the upgraded spacecraft, will launch in September bringing Sergey Ryzhikov and Andrei Borisenko of Roscosmos and Shane Kimbrough of NASA to serve on the Expedition 49 crew. 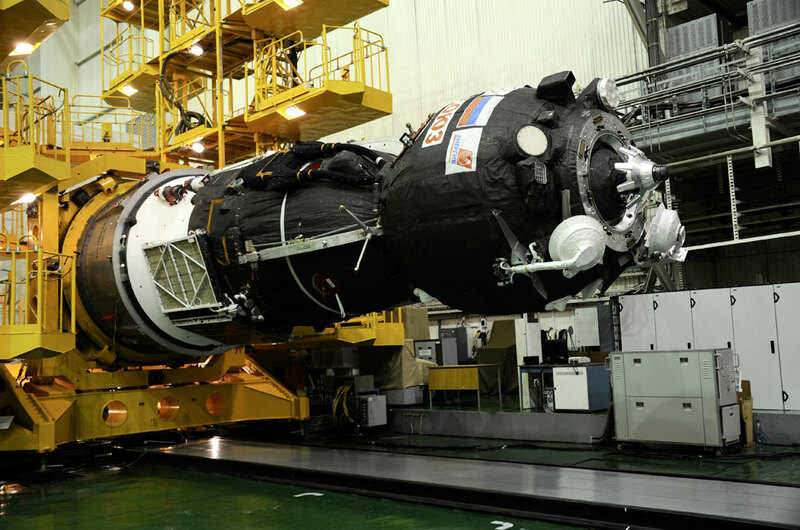 The Soyuz MS, which succeeds the earlier TMA-M model, is equipped with redundant, upgraded thrusters, additional debris shielding, redundant electrical motors for the Soyuz spacecraft's docking probe and increased power with more photovoltaic cells on its two solar array wings. 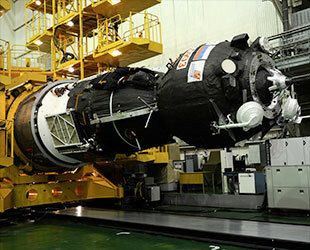 The Soyuz MS also introduces a new digital transmitter to send engineering video of the spaceship's approach to the station for docking, a new relay telemetry capability along with an upgraded automated rendezvous antenna, and an improved satellite navigation system to better calculate the spacecraft's position in space. "We have a new space-to-ground, which allows the ground to send commands and get telemetry from the vehicle. The system relies on satellite communications and can be used for voice [transmissions] as well," Ivanishin described in an interview. 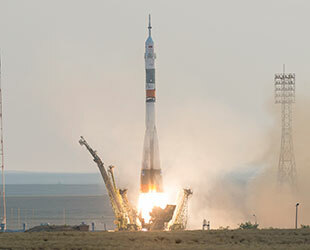 Prior to the MS, the Soyuz could only contact the mission control when flying over ground stations. 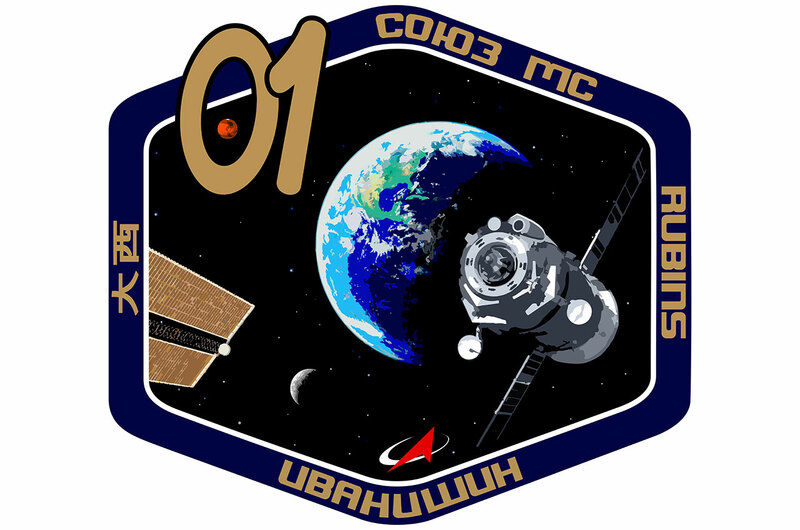 Over the four months they share in orbit, Ivanishin, Onishi and Rubins will help operate the station's several hundred experiments in biology, biotechnology, physical and Earth sciences. As part of that work, Rubins is slated to become the first person to sequence DNA in space. "I think some of the most interesting pieces of equipment we have on board for research capabilities are some of the ones we are going to be doing for the first time, which is trying to sequence DNA in low Earth orbit," said Rubins in a NASA preflight interview. "It gives us a great capability for space station going forward, both for studying diseases on the planet, as well as our future exploration for Mars." Rubins and Williams may also go outside the space station on two spacewalks, including one tentatively scheduled for August to install an international docking adapter to enable future U.S. commercial crewed vehicles to visit the station. This is Rubins' first spaceflight since being selected as a NASA astronaut in 2009. A 37-year-old microbiologist with a doctorate in cancer biology, Rubins was inducted into the U.S. Space Camp Hall of Fame in 2015, having attended the program as a child. She is now the 60th woman to fly into space. Onishi is Japan's tenth astronaut to fly into space and the sixth to embark on a long-duration expedition on board the station. A 40-year-old former airline pilot, he was selected by JAXA in 2009 and trained with Rubins as members of NASA's 20th astronaut candidate group, "The Chumps." Onishi and Rubins are the 545th and 546th people to enter Earth orbit in history. Ivanishin, 47, previously spent 165 days aboard the space station as an Expedition 29/30 flight engineer in 2011-12. A veteran fighter pilot, Ivanishin joined the cosmonaut corps in 2003. 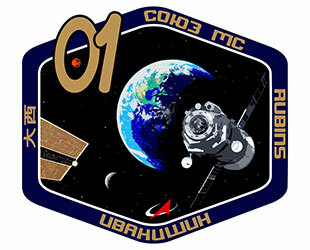 Soyuz MS is Russia's 47th Soyuz to fly to the International Space Station and the 130th to launch since the first flight of the Soyuz-class of spacecraft in 1967.